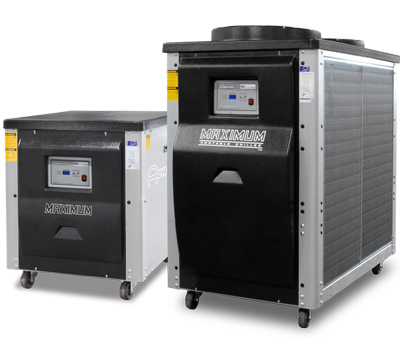 Stock List : Chillers Inc.
New 15 Ton Air Cooled Packaged Chiller. In stock available for immediate delivery. Comes with 65 Gallon holding tank, 3 HP circulation pump and ESA approved. 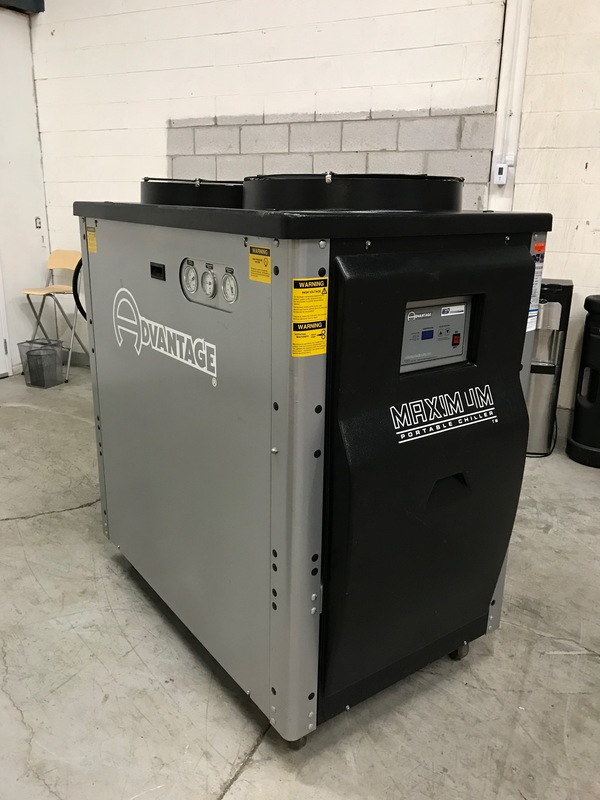 One New Advantage 10 Ton Portable Air Cooled Chiller complete with pump and tank. 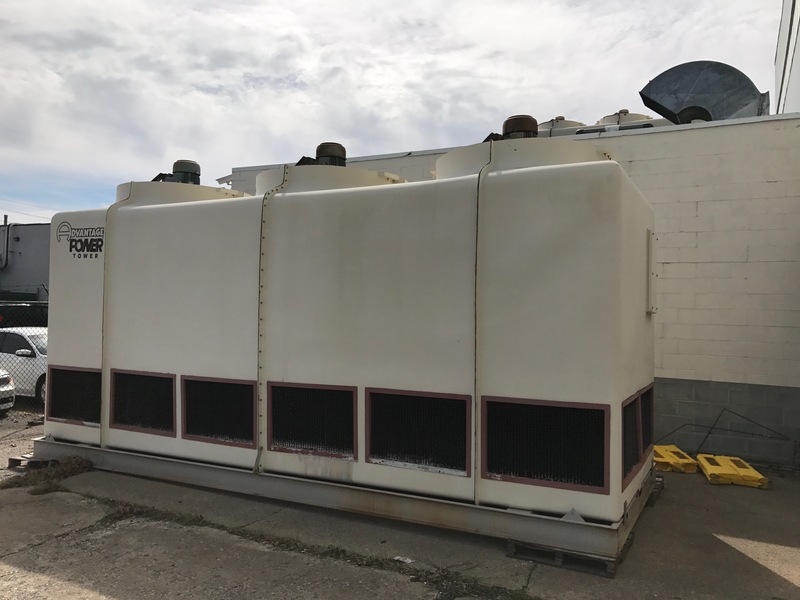 405 Ton Fiberglass Advantage Cooling Tower. Non ferrous Tower with 3 - 7.5 HP fan motors. Excellent condition c/w new drift eliminators and recently rebuilt motors. All units are subject to prior sale and may or may not be currently available. Call to confirm availability. Full payment required prior to shipping. Shipping cost to final destination not included in price. See terms and conditions document for additional details.